This Listing under BRAND "SunShine" by Store- SUNSHINESHOPPEIN is only responsible for the products purchased under the said brand name SunShine. We hearby are not responsible for the product quality given by another seller offered in less price. Espresso Cappuccino It will beat your eggs faster and better than what you can with a spoon. 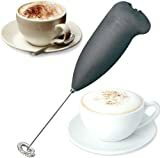 It will froth your milk and coffee/cappuccino as if you are having it at a cafe! 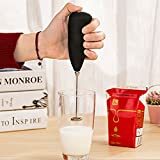 PLEASE NOTE ITS A ELECTRONIC SMALL BLENDER FOR MIXING & EGG BEATING OR FROTHING, cannot be used for vegetable pulping or chopping like other Big Electrical blenders function. 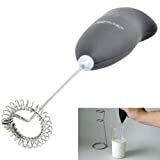 PRODUCT FEATURES BLENDER DETAILS Type: Hand Blender In Multi color.